“We are very grateful for the support of the senior leadership at Dell EMC over the last 4 years and their involvement in evolving the format in to such a unique event. We look forward to working with Claire Vyvyan and Dayne Turbitt and their leadership teams, with our clients, our associate sponsors that include Microsoft Office, LinkedIn, Ordnance Survey, Secureworks, RSA, VMware, our channel partners and customers of Dell EMC, to continue delivering this fantastic event”. The event is now a well-established and unique occasion for 25-30 senior executive teams of 6, from leading Global and UK corporates such as GE, Wells Fargo, AB Foods, Dawnus etc. 1 Adventure Race, involving canoeing, mountain biking, running, hiking. 2 Management Development, the team’s management skill is tested with a real ‘live’ charity case study problem, which is completed in parallel to the Adventure race. 4 Charity development and fundraising activities – 2017 charity partner is The Prince’s Trust. The 2017 event theme is #Collaboration and this year’s event will feature the legendary Ironman Triathlete Chrissie Wellington OBE as its keynote speaker (see attached picture). Chrissie is a 4x World Champion and World record holder and will provide a unique insight into her professional sport, the preparation, the competing and importance of #Collaboration in her sporting, campaigning and professional life. Dell Management Challenge 2015 – GoPro Team videos delivered by associate sponsor Welsh Government and @VisitWales – Click here to access the team videos. 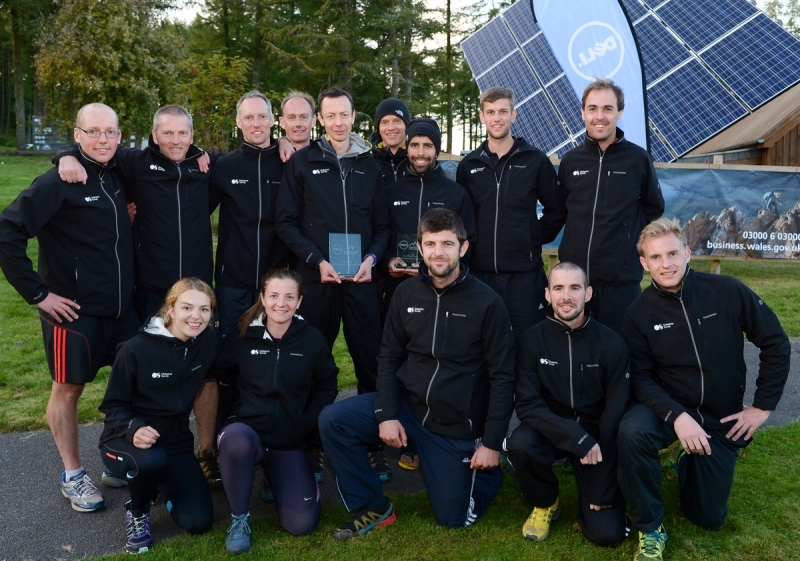 Two teams from Ordnance Survey achieved first and third place respectively at the 2015 Dell Management Challenge, second place was awarded to a very competitive team from GE Aviation. The winning team for the charity fundraising prize was Ingram Mircro, raising over £5,000. The winner for the Team Enabler prize, sponsored by vmware, was Kasia Motel (representing Team Kelway). The event also served as an excellent networking forum and one of the key highlights were all the teams raising just under £30,000 for the three charities as well as delivering invaluable management solutions for the charities in question. 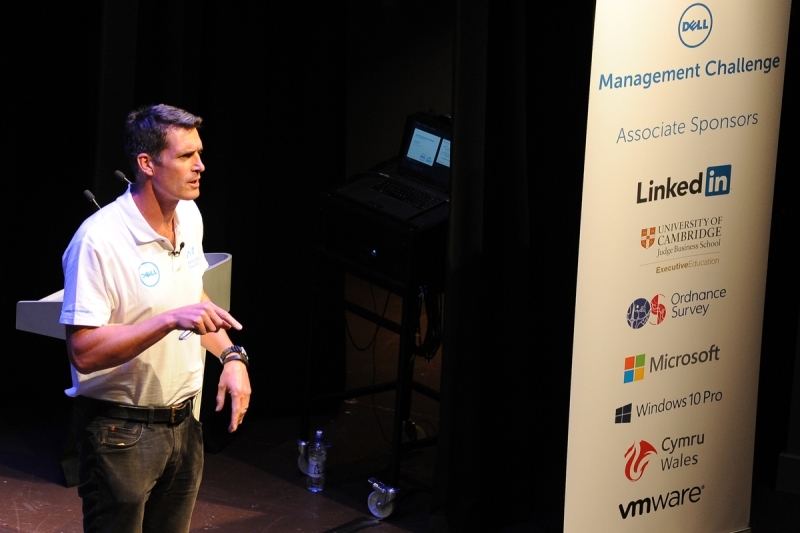 Complementing Dell as Title Sponsors/ Strategic partner was a partnership with six Associate Sponsors including LinkedIn, Cambridge Judge Business School Executive Education, Ordnance Survey, Microsoft, vmware and Welsh Government. The Dell Management Challenge are delighted and proud to be associated with Greg Searle. Greg is a Olympic icon, winning a gold in 1992 Olympic rowing final of the coxed pairs . 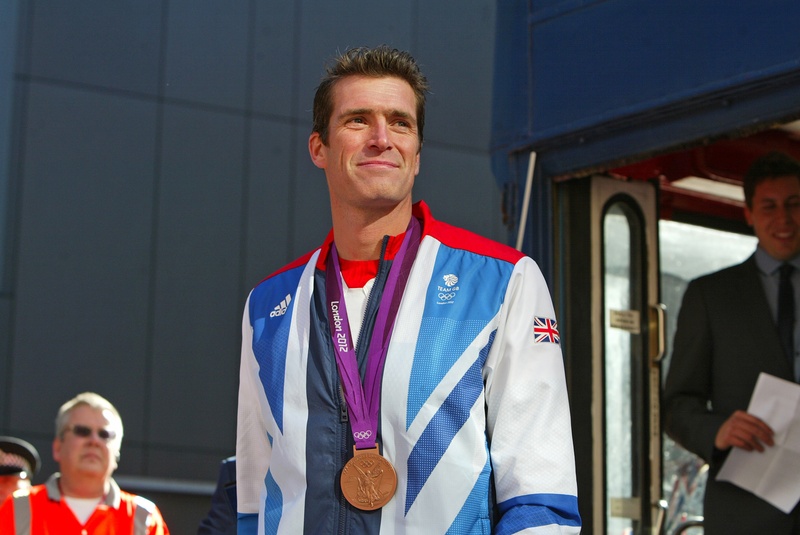 Greg staged a sensational comeback for the 2012 Olympics, aged 40, and won World Cup Gold and Olympic Bronze. Current fitness regime: Regular running, golf and dog walking. Last holiday: Sardinia – Forte Village. 2 What you been up to since winning bronze in 2012? 3 Can you confirm you have no plans to launch another comeback for Rio 2016? Watching the next generation now. No sporting goals for me. TeamGB have set a goal to win more medals in Rio than in London. It’s a big ask because no one has ever won more medals after hosting than when they hosted. With the collaboration between Olympic Sports and The whole Paralympic team I think we can do it. 5 What are your views on the recent Sunday Times finding on IAAF as regards use of EPO and PED? I think some sports are dodgy and I’m glad they are looking into it properly. I hope we aren’t all tarred with the same brush. 6 We are delighted to welcome you as our keynote speaker on the 25 September, what is it that appeals to you to appear at this event and what will you be looking to achieve and communicate at the event? I like the idea of teams working together outside of their regular day to day business. I’m looking forward to helping people have a different level of connection to their colleagues. 7 The Theme of the event is #TeamOptimisation. What does this term mean to you? Team Optimisation is about getting the best from everyone. 8 From your experience of two Olympics, World and European championships,what makes great/winning teams? Of interdependence to deliver collectively. 9 Tell us why goal setting is important or indeed not important? Outcome Goals get us out of bed in the morning. Performance goals help us measure progress and Process goals help us know how we need to act and behave on a daily basis. 10 What are the key things you would be doing in terms of preparing for this event – as a team and as individuals? Every session is an opportunity to learn. I’d encourage people to give and receive honest feedback so no training is wasted. 11 From your experience as a Senior Executive Coach what difference do healthy executives (engaged in sport) have on their team’s productivity? Are physically fit teams more productive and why? I believe the way you do anything is the way you do everything. If you look after yourself well then I’m sure you look after business well too. 12 We appreciate there are many positive takeaways for the teams and individuals in the event, but if you had to pick just one, what would it be? Having different conversations and experiences with each other.